A simple blog about lifestyle changes, good eating, barefoot/minimalist running, and an Incline addiction. I am really, really honored and excited to be an Ambassador for the Human Potential Running Series (HPRS) for 2015! So... who or what is HPRS? 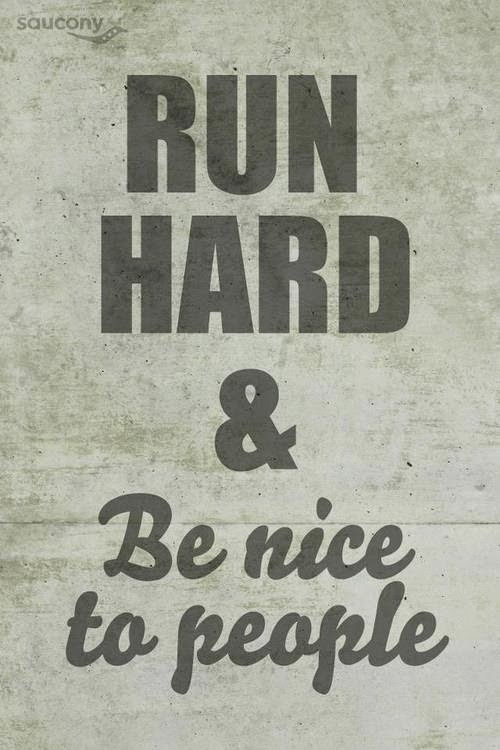 We encourage all runners to embrace a communal spirit during all of our events; official or otherwise. We want you to forge new relationships, learn from and about each other, encourage each other, and care for each other. After all, we’re all in this together every step of the way. We acknowledge that those who finish last; work just as hard, sacrifice just as much, and are just as committed, as those who finish first. We uphold the old school traditions of Ultra-running by presenting the same finisher awards to all participants. We offer no cash prizes at our races and front runners will receive no special/preferential treatment over the rest-of-the-pack. Our races are designed with the utmost respect for runners and non-runners alike, local and federal municipalities, local residents, land managers and businesses. While we acknowledge that it is nearly impossible to please everyone, we do our very best to respect and please the majority. I was immediately drawn to HPRS, because, as a back of the pack runner, I really appreciated the focus on recognizing everyone. AND, as I had taken up trail running, and trail races, I could immediately tell it was a different community, and I really liked the way front runners would encourage everyone, and I felt like I belonged. So.. I was drawn to HPRS, and what was even cooler, was that there was a 50K being run just miles from my house up here in Woodland Park, CO! 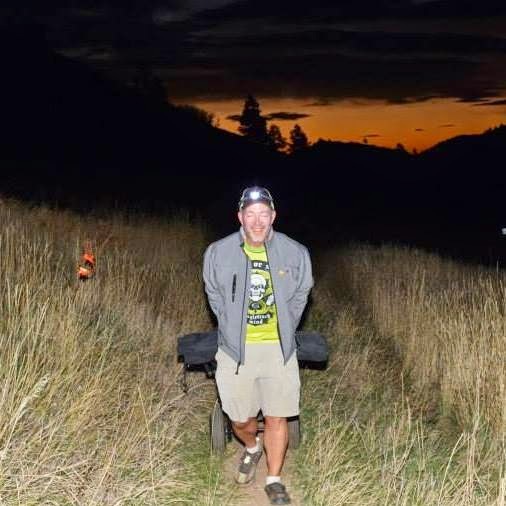 This would be my second 50K, and it was an amazing experience... much different than my first 50K (many folks were still around when I finished!). You can read about my experience in detail HERE. But to summarize, I made a lot of new friends, including Race Director Sherpa John Lacroix., and I've never felt so welcomed before. It felt less like a race, and more of a shared adventure that was incredible. 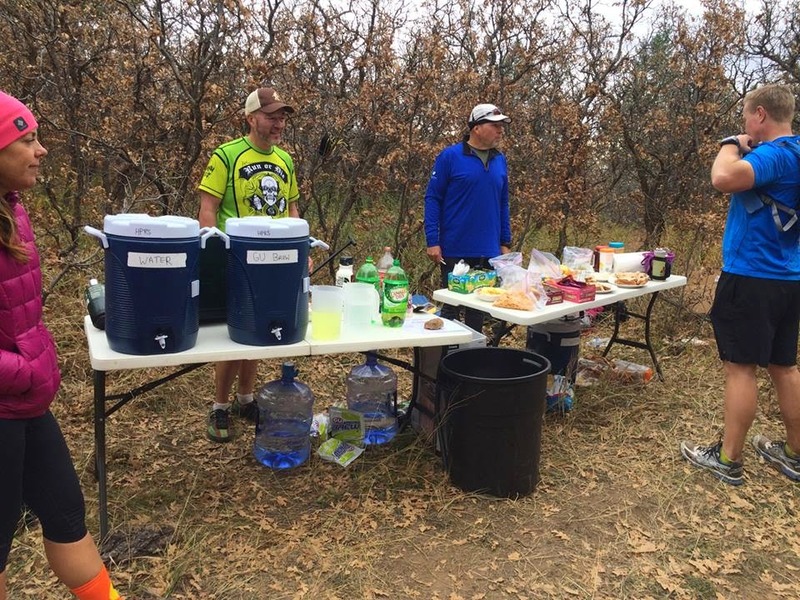 So, from based on that experience, I happily volunteered to run an aid station at the Indian Creek Fifties a few months later. And that was as challenging (and as fun) as running the race! 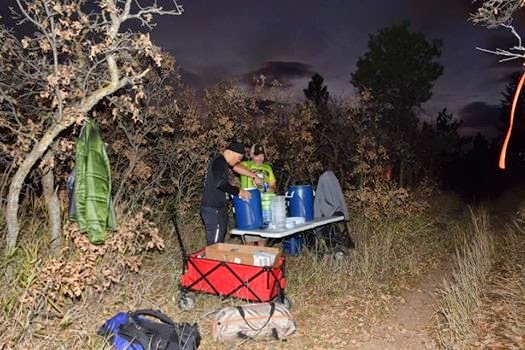 I ended up logging 11+ miles hauling gear/water, and made more great friends with the folks manning the station with me, as well as all the runners we served! Stay tuned as I will keep you up to date on all activities related to the Human Potential Race Series... including my goal of my first 100K at the TommyKnocker's Ultras next year!! UGH!... I kid you not... the day after I turned 50, I messed my back up. No, I didn't mess it up falling off a cliff on an epic trail run... nope, apparently bringing the Christmas tree upstairs and restringing lights on it was all I need to really jack it up. Seriously? I mean come on! On a positive note, it's been just about two weeks, and I think I'm about recovered. I've tweaked my back a few times in the past, but usually its ok in a day or so... this one kept me from running for two weeks! So yeah... got a little grumpy. Good news is I was able to get back out on a run today, and it feels great. And, I have to give some credit to BackJoy for helping me recover. Although part of me thinks it is some kind of conspiracy as I received a box full of their products about 3 weeks before hurting my back! So, the fine folks at BackJoy sent me a SitSmart Posture Plus seat, Roller Ball, and a PostureWear Elite compression shirt. For the SitSmart, I initially didn't have a lot of use for it since I have a standing desk for work, and sit very little during the day. I set it in my wife's office chair and let her use it. She noted that it did make sitting a bit more comfortable, and she could tell it helped her posture. However, she did say that it was a bit wide for her, so it is good to note that a smaller version is available as the SitSmart Mini which is great for kids as well. I thought it felt good to sit on... and rather than being something that felt weird or forced you to sit a certain way, it felt more like a gentle reminder to sit up properly. Now, after I hurt my back, that was a different story. I certainly felt much better sitting down on the SitSmart than I did in any chair without it. 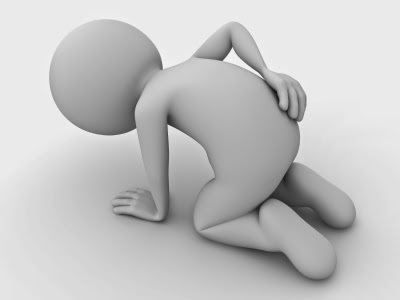 With the lower back pain I was experiencing, the SitSmart certainly helped relieve a lot of that! Which was his home made "peanut" constructed from baseballs... look familiar? 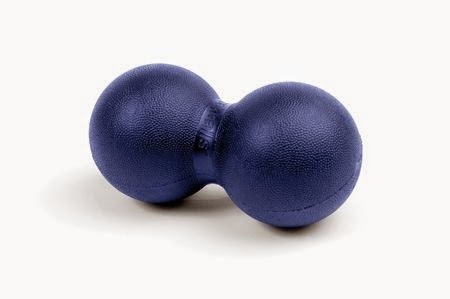 :-) Anyway, the BackJoy Roller Ball is made of a solid rubber construction with just a little squish and give. Not much, but enough to keep from bruising. I liked using it against a wall and rolling it up and down my spine, and especially my lower back. But, I also used it to roll my sore glutes, and also my feet while at my standing desk... great to have around! 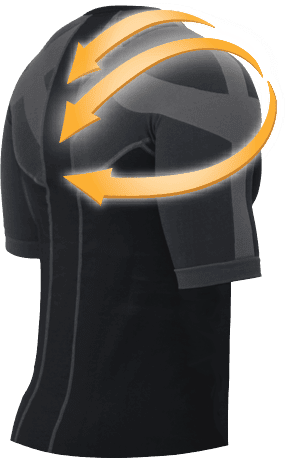 Finally, we have the PostureWear compression shirt. Now this is REALLY cool. I normally wear a light compression shirt on under what ever shirt I am running in, so it was easy to integrate this into my running. The intent of this shirt however is to push and prod your upper body into the ideal posture for a healthy back. 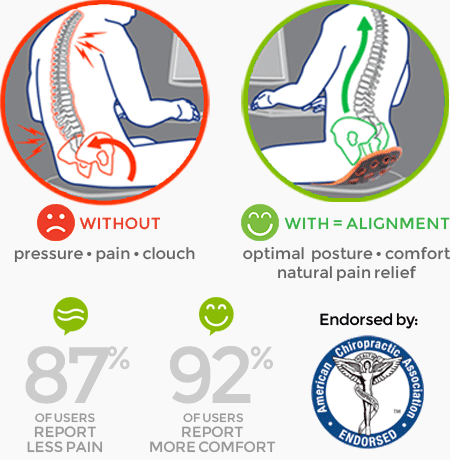 So, thank you BackJoy for not only improving my posture, but helping out an old guy in pain! And, I'm glad that my review will help provide pain relief to those in need via the Give Back, Spread Joy campaign! 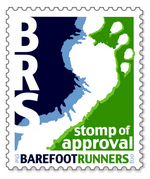 As always, if you have any questions/comments/rude old guy remarks, leave them below, or drop me a note of the Barefoot Inclined Facebook page! 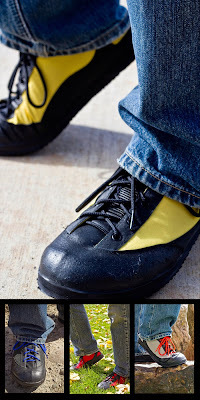 Rediscover your Sense of Motion: SOM Footwear SP-L Review! Good morning! 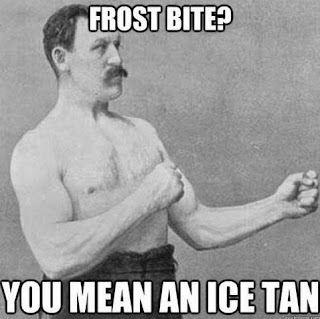 Hope those of you impacted with this weeks weather are staying warm! 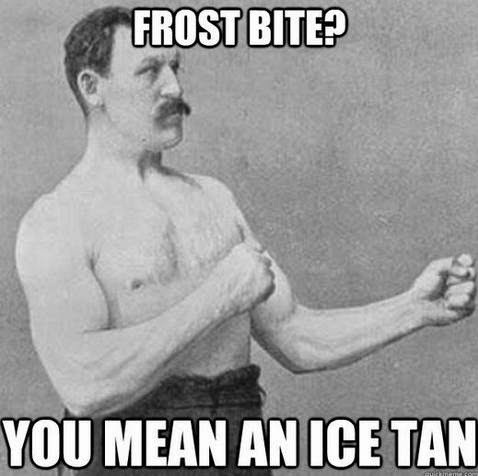 It's been hanging around 0F (-18C) here, so plenty chilly! Anyway, I am really excited to share with you today another new minimalist shoe company that is right here in Colorado! SOM (Sense of Motion) Footwear is a Made in the U.S.A company that is a result of a 3 year labor of love by founder Olivier Marchal, which started when he found that he wasn't impressed with the minimal shoes available on the market. So what did he do? He started making them himself... I love that. 12/4/14 UPDATE: Check out this great news segment by clicking HERE. A few months back, I was asked if I would be willing to give the SP-L models a try, with the caveat that they weren't built as a true trail running shoe, but more of a casual/hiking minimalist shoe. I love supporting new and local companies, so I was happy to give them a go. 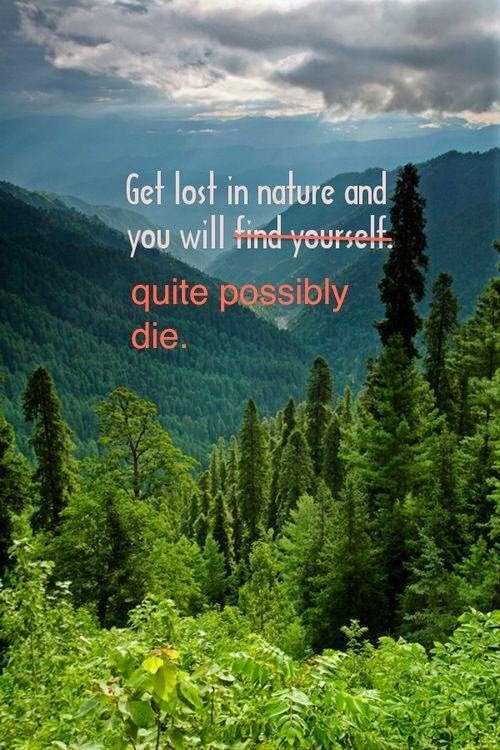 Want me to cut to the chase? I LOVE these shoes... I reach for them often lately as my go to casual shoe just because they are so comfortable. You can also see the full Kickstarter Project by clicking HERE. Go check it out, and consider backing them! Ok.. now back to my impressions of the shoe. First of all, the toe box and general roominess of the shoe is awesome. As you can see, they are plenty wide, yet they still snug up nicely with the wide-pattern lacing. Also, I need to point out that I tested the SP-L model, and the model available on Kickstarter is the SP-L 2. The key difference is that the eyelets are now on a leather strip, versus directly in the upper, and also there is another layer of EVA added to give them just a little bit more cushion versus the pair I have. The Vibram soles on the SP-L have a decent tread pattern, and overall the stack height of 12 mm provides some good protection, but still maintains a decent, albeit muted, ground feel. Also, they are just about as flexible as the various huarache sandals that I run in that have the same stack height which is great. Considering the construction of the shoe, the weight is pretty light, with my size 10 coming in at 8.25 oz. 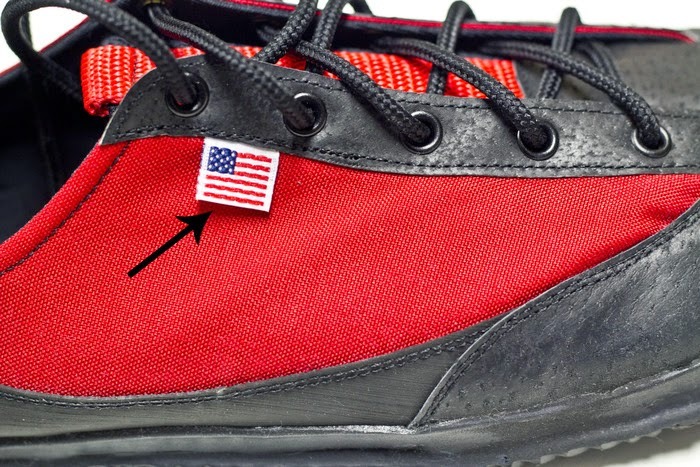 Here is a better picture of the new SP-L 2, where you can see the leather eyelet band, and also the USA Flag tab on one side (Red/black/yellow.. the charcoal will have a Made in the U.S.A tag). The upper is comprised of a Weather Max 65 and Cordura fabric, combined with a 3D mesh interior. I know.. a lot of technical stuff, but what it means is a sturdy, comfortable shoe that breathes well, and sheds water very well! Ok... now onto the important stuff... how did they perform? 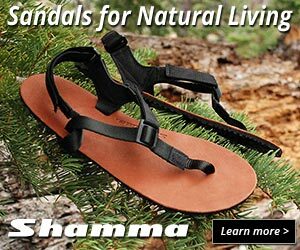 As I noted earlier, for a casual or hiking shoe, these are truly amazing. I can always tell which shoes I really really like, because I will reach for them first anytime I am not specifically testing for a review.. and these keep getting grabbed when leaving the house for just about anything (including riding my motorcycle!). But you know me.. of course I am going to run in them! While not specifically built as a trail running shoe, I took them out for a run anyway. While not my first choice to run in, they performed pretty well. Better than some true running shoes that I've tried! 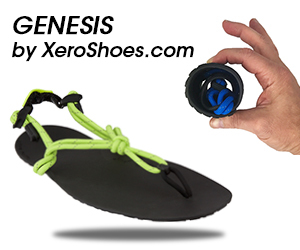 I would prefer a little closer fit for running, but my foot didn't slide around too much, and the traction was great. 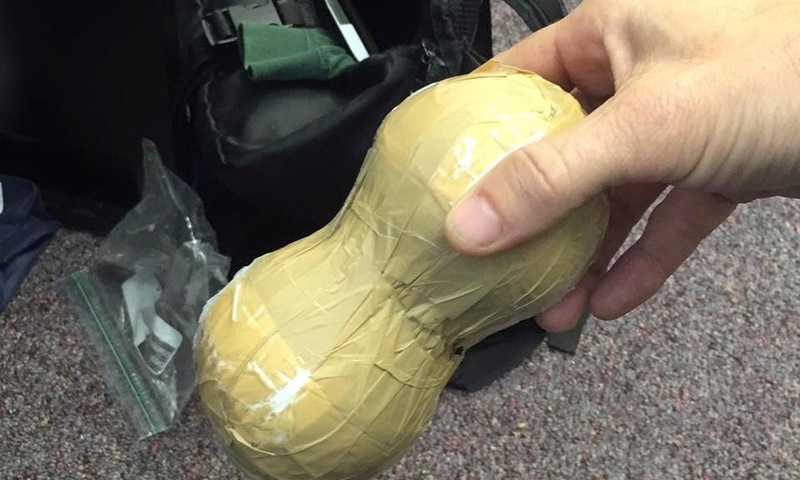 The protection was very good as well, especially for a shoe as light as this one. So, if you are out hiking in your SOM's and some wildlife appears, have no fear that you can hoof it out of there in a hurry! So, there you have it. 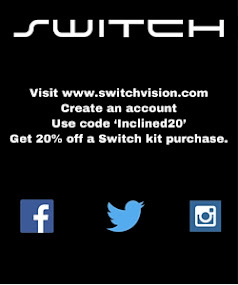 Again, you have a great opportunity to score some of the first pairs of the SP-L 2 via the SOM Kickstarter project! Not only do you get a great shoe, but you'll be helping SOM Footwear develop more styles and colors, all here in the U.S.A! As always, if you have more questions, or if I've missed something, just leave a comment below, on the BI Facebook Page, or email me at barefootinclined@gmail.com. Thanks... stay warm.. and happy trails! Hey all! Hope you are having a great week! Ok, this week, I'm returning with a review of some great gear from Pearl Izumi. In the past I've reviewed their "Fly" running hat, as well as their Elite Thermal compression pants, and Select soft shell running gloves. I've found that products from Pearl Izumi have always been high quality, and high performing. 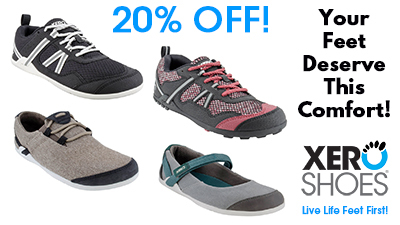 So, when I found out they had branched out with some near zero drop trail shoes, you know I had to check them out! 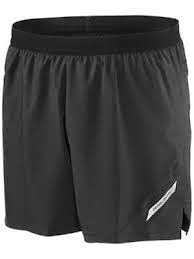 And in addition to checking out the N1 Trail, I also logged a lot of miles in the Pearl Izumi "Flash" shorts as well. So, stick around, and read my full review on both the N1 Trail shoes, as well as the Flash shorts. And, thanks to the awesome folks at Pearl Izumi (and Outside PR), I'll be giving away a pair of each to one of you! 3. a low and flexible stack height to allow a natural foot strike, and proprioception or ground feel. That being said, the Pearl Izumi N1's have a 1mm drop, and a decent toe box that is comfortable. However, it is here that I will note that these are the thickest shoes I have run in since reviewing the Go-Lite Dart Lite trail shoe over two years ago. With the in-sole included, the N1's sport a stack height of 23mm. Ok, so while they aren't Hoka's, they are a bit more of a shoe than I am used to. As for the construction of the shoe, I really like the seamless upper that keeps things nice and comfy inside, especially in the toe box area. The toe box isn't super wide, but for my "average" feet, it was decent, but even roomier if you remove the insole. The tread pattern is great for providing good traction, but without grabbing and holding onto lots of mud etc. The N1's come in around 9.6 oz, which is fairly light considering how much shoe there is. They feel very light and nimble on the feet. As I noted above, the shoe has a really comfortable upper and tongue, and they lace up firmly. In my first few runs in them, I felt like I could use a little more room for my toes, so I removed the insert (which comprises 3-4mm of the stack height), and this also provided a bit more ground feel and less cushion. As of today I have logged just over 100 miles on the N1's. I eventually put the insoles back in, as the upper loosened up a little bit, and I started wearing thinner socks as the weather got warmer. Also, I have to note that the N1's were my "backup" shoe for both 50K's this summer, as well as my 50 miler. I wanted a more cushioned shoe as backup, in case my feet really started to complain... however, I ended up not needing them, but was glad to have them with me just in case. I like running in these, however there is a definite trade-off with the additional cushion in the stack height and composition of the shoe. While the feel is cushy, and the shoes can absorb a lot of nasty sharp rocks and missteps on the trail, the feedback from the ground is obviously muted. However, I didn't have any issues with tripping, or turning an ankle or anything like that. The base while running is very stable. 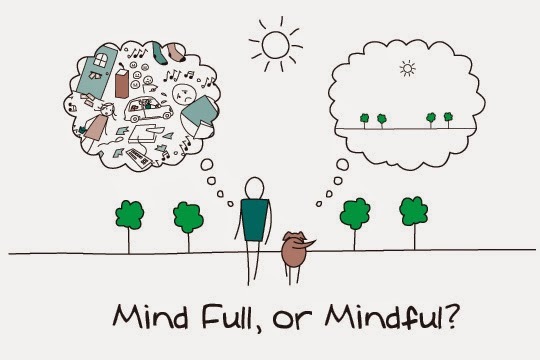 Another draw back is that you can get lazy, and just plow over nasty terrain, that would normally require extra mindfulness in a more minimal shoe. It is for that reason that I have these shoes as a back up for ultras, because at some point, that may be just what I need when my mind is gone! Anyway, the bottom line is, these are terrific trail shoes if you are ok with a taller stack height, or just need extra protection in lieu of proprioception. Ok.. now on to the Flash shorts! Now, before I get into a review of these shorts, I need to let you know that I do have a "favorite" pair of shorts, like I am sure most of you do. What's funny is that the shorts I love (From FILA) are actually tennis shorts I think. They have huge pockets and are kind of long, and they don't have a liner.. anyway, I of course need to have more than one pair of shorts so I don't have to schedule my runs around laundry, so here you go! So why aren't these now my favorite shorts? Primarily because of the lack of pockets... 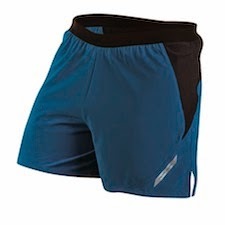 I've grown accustomed to trail running with pockets for storage, which I love, and the Flash shorts only have a zippered pouch on the back (which works great). Also, I could use just a little bit more length, but again that's just me.. those things aside, these are terrific shorts, built to last a lot of miles, and super comfortable... definitely worth a look when you are ready to retire your current shorts! Ok! As always, please let me know if I've missed anything, or if you have any questions. Leave me a comment below, or on the BI Facebook page. Now, if you like what you've read, and you want to win a pair of the N1's and Flash shorts, enter below! I'll run this contest until 10PM MST, Monday November 3rd, 2014. Contest open to residents of the U.S. and Canada only. Good luck and happy trails!! 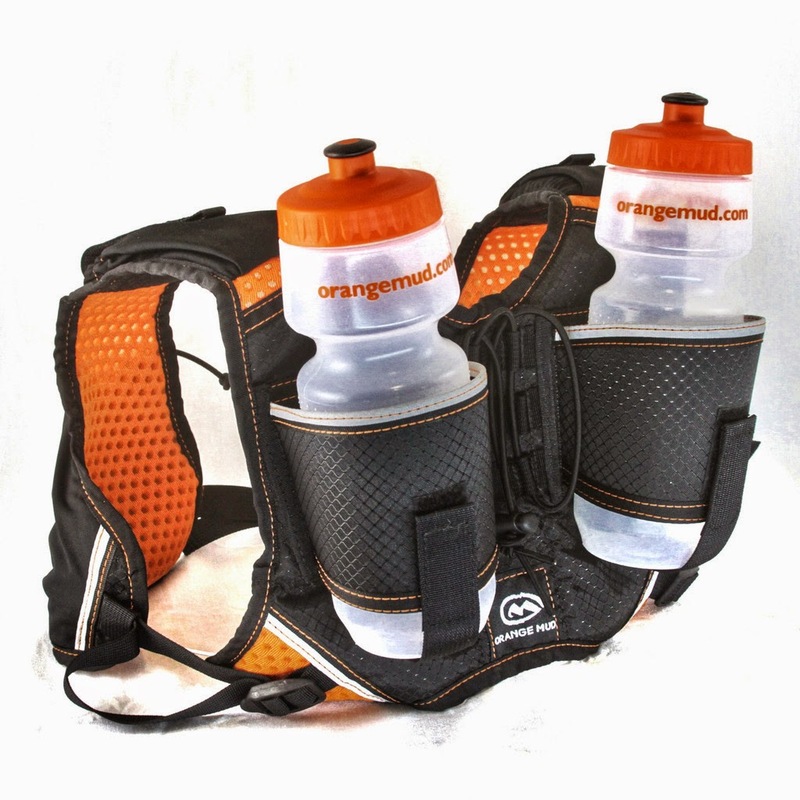 Hands Free Hydration Part 2: Orange Mud Hydraquiver Double Barrel & VP2 Review! Hey! Now that I've finished my first 50 miler, and haven't set a new goal or race to train for, it's time to get caught up on some reviews!! I've been fortunate enough to have been trying out all kinds of new gear and minimalist footwear, but it's time to share what I've learned with you all! What's up for today? A two for one review! 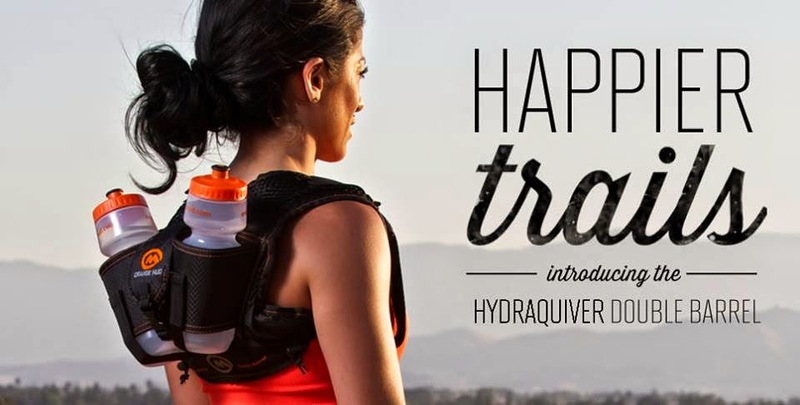 If you've been following along, you know that I ran my first 50K in May using the Hydraquiver Single Barrel from Orange Mud. 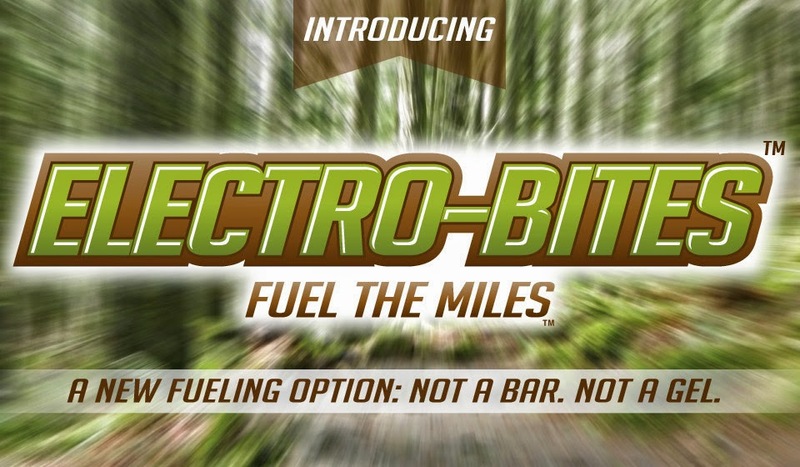 I loved it, and it pretty much replaced my hand held for shorter runs. Well, since then I ran another 50K with the Hydraquiver Double Barrel, and shortly after that, a 50 Miler using the new VP2. 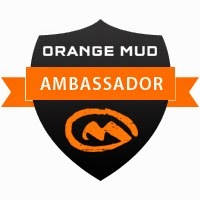 I love the Orange Mud products so much, that I asked to become an Ambassador! And I'm stoked to say I get to be an ambassador for yet another terrific company full of great people, and amazing gear! So, it's probably obvious that this will be a good review of these two products, but I also wanted to give kind of a compare/contrast review of the Double Barrel and the VP2 since they both carry two bottles, but offer some unique differences as well. So, check out the review, and stay tuned at the end also as I get to give away a Double Barrel Hydraquiver to one of you! Ok.. first up, the Double Barrel. Basically, if you like or have tried the Single Barrel, the Double is just twice as good! Well, obviously twice the hydration. The Double is built very much like the Single Barrel, but instead of a zippered storage access on the side, the Double has a larger zippered access across the top. Inside the zippered part is a smaller storage bag that hangs inside the area behind the bottles. It's a great place to store smaller items, additional gels etc, and keeps them from falling down into the larger area and making it hard to find them. In addition to the hanging pouch, the zippered top allows access to pretty much the entire back of the pack. Pretty decent storage, but keep in mind it may change the fit and feel of the pack of course. Otherwise, the only other difference between the Single is the addition of these added wrap-around covers for the shoulder straps. These are a nice feature if the plain straps cause you any issues, but I've not had any issues with the Single in this respect. When I run with the Double, these pads are generally more in my armpit, than up higher and that seems to work well. The Double has the same super handy expandable shoulder pockets for phones, gels, keys etc, and it has very much the same fit as the Single (better snugged up and riding higher the better). There is of course a slightly different feel due to the extra weight of another full bottle, but I didn't notice it riding much differently. I do try to alternate drinks out of the bottles to keep the weight balanced. AND now.. the VP2! This is a terrific pack, and I took a chance on running with this one on my 50 miler, after only taking two short runs with it. I knew the Double would be fine for the long haul, but decided to give this version of the two bottle carrier a go. So, what are the similarities to the Double Barrel? 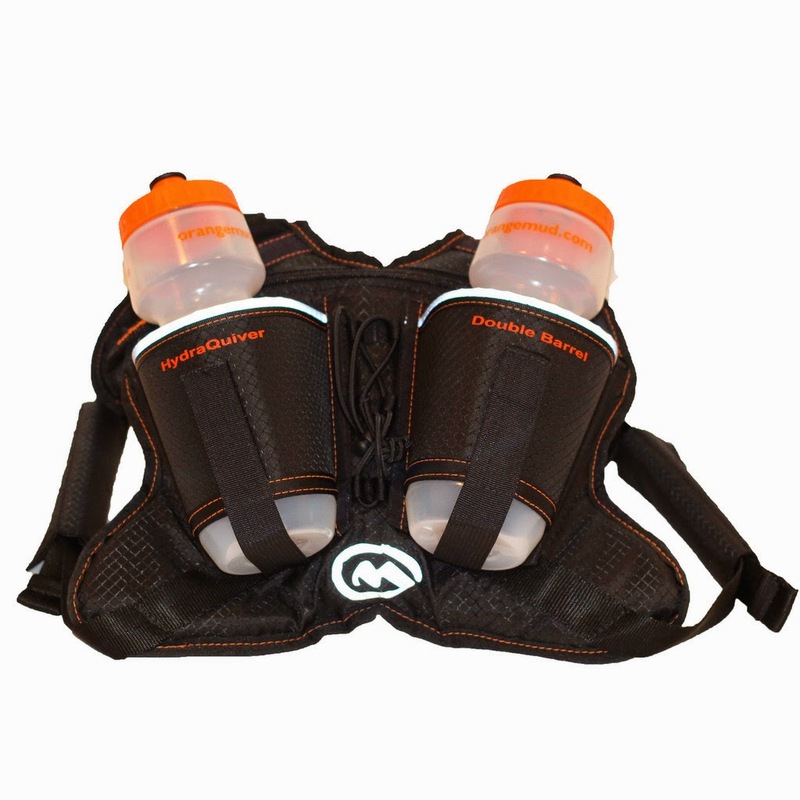 Both packs have the velcro close, expandable shoulder pouches, ride comfortably with very little bounce,carry two bottles,have a tie down on the back, and both share the super high-quality construction that Orange Mud is known for. After those items, things are a bit different. 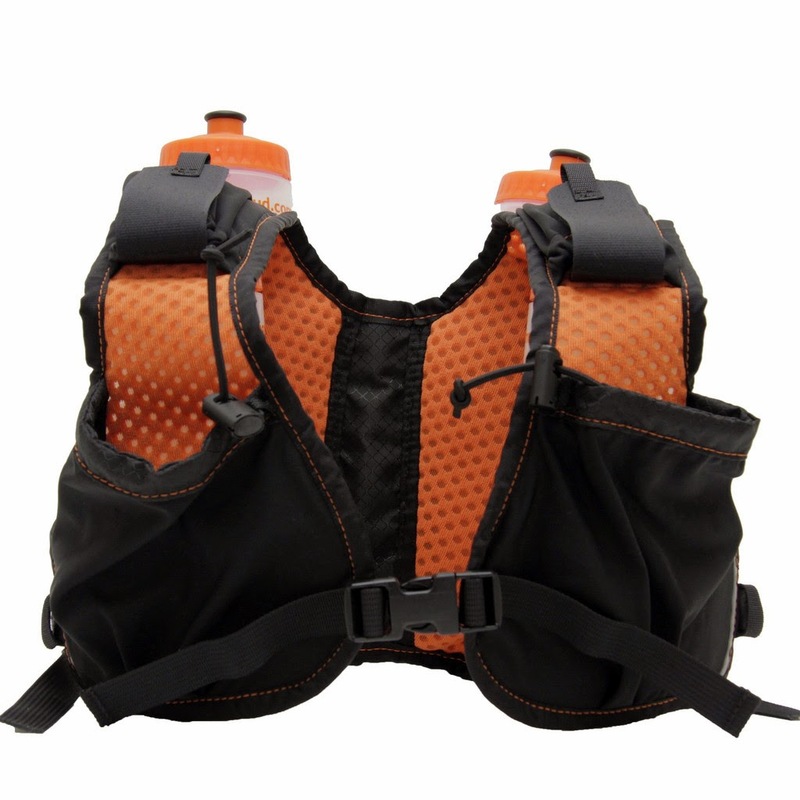 The VP2 has a wider panel that comes up and over the shoulder, replacing the simple straps of the Double and Single. This allows the addition of some spacious and expandable pouches on the chest to carry a lot more goodies! The tops cinch down nicely if you don't want stuff popping out as well. The trade off is that there is no big storage pouch on the back, as you find on the Double, but I like that you can access everything you are carrying without having to take the pack off. Also, the bottles on the VP2 sit a little straighter and wider, versus the kind of V shape of the Double. Both are easy to grab the bottles with, but I liked the feel of this set up better. Also, there is one additional adjustment to make. Instead of one pull on the strap to adjust tension, the VP2 has adjustments on the side, as well as a chest buckle that can be adjusted as well. This system works great, however it will just take you more time to find the right balance between the tension on the sides, and across the front to keep the pack snug, comfortable, and to stop any bouncing. This took me the two short runs before my 50 miler to figure out, and I made a few slight adjustments on the 50 miler, but once I got it dialed in, it was super comfortable! How did it perform? 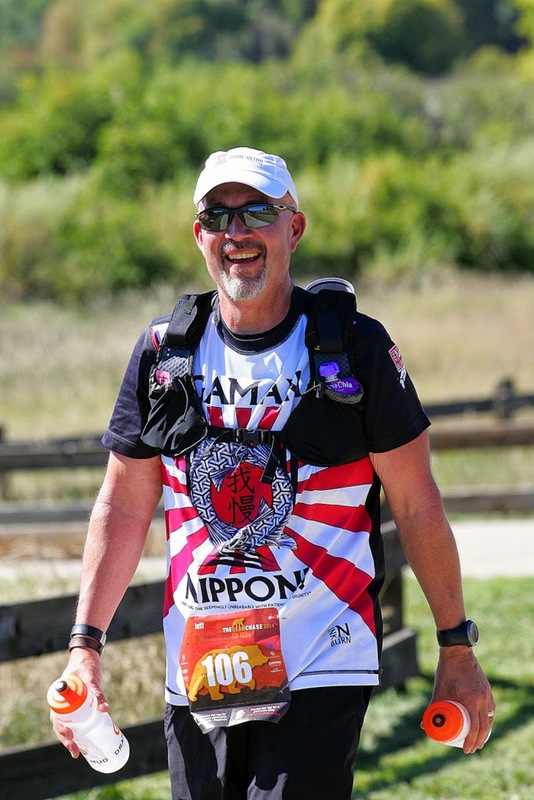 Flawlessly... the Bear Chase 50 Miler took me just over 14 hours, and it was brutally hot.. 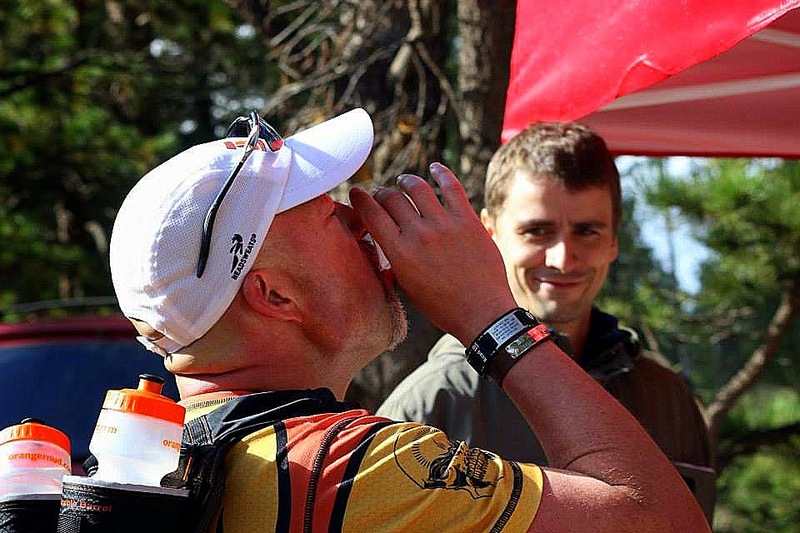 I was so glad to have two bottles between aid stations! But the pack rode really comfortably, and I had room to carry extra fuel that I liked (that the aid stations didn't have), as well as a USB charger and cord for my Garmin so I could get beyond the 8 hour battery life! But after 14 sweaty hours, I had no chafing issues, and loved being able to easily reach back and snag a bottle when I needed it. Also, one guy that passed me said that he thought I had a jet pack on when he was approaching me! I really wish I had! So there you go... if I missed something, or you have a question, feel free to leave a comment below, email me, or hit me up on Facebook. 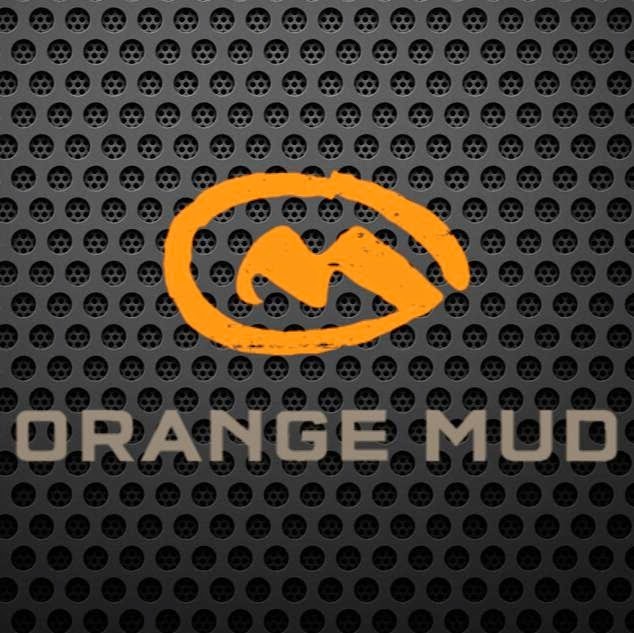 Also, you can check out the Orange Mud website by clicking HERE.. and dont' forget, use "BAREFOOTINCLINED" for 10% off! I'm giving away one Orange Mud Hydraquiver Double Barrel, and you can get entries by using the Rafflecopter thingamjig down below! I'll run this contest until 10PM MST, Wednesday, October 15th, 2014. Open to the residents of the U.S. and Canada. 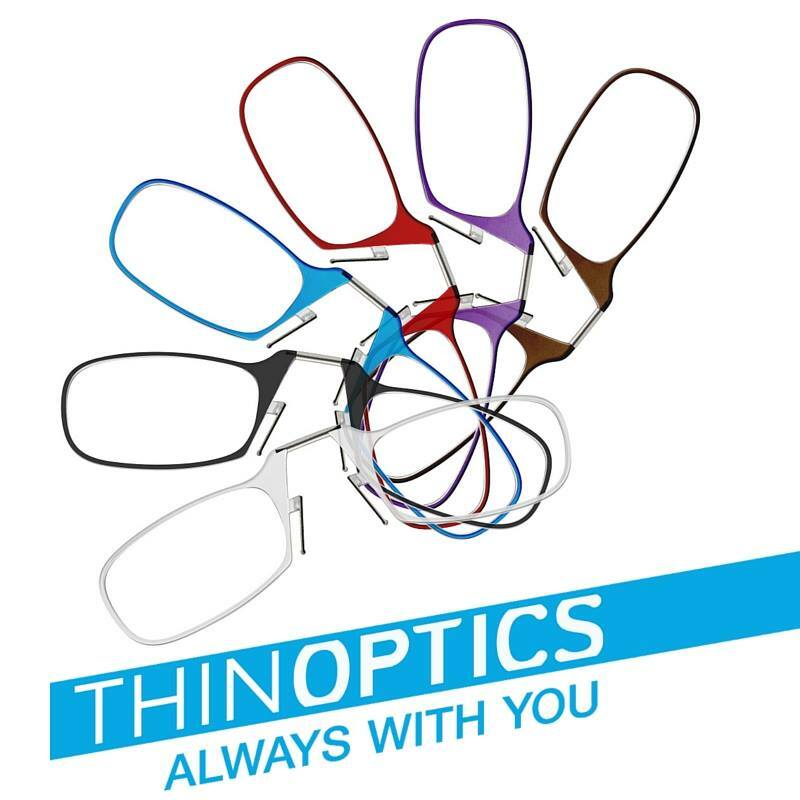 15% off and Free Shipping! Use code "barefootjg" for 10% off! Use "BAREFOOTINCLINED" for 10% off! Use code "Jefftoldme" for 20% off! Follow Barefoot Inclined via Email!! Bicycles, Beaches & other Stuff. Ramblings on Barefoot Running, Motherhood and Life..
Run Faster! The kids are catching up.